The story of a small-town disc-jockey, a struggling inventor, and an animatronic rock band, that quickly becomes an eccentric portrait of childhood memories, broken dreams, and the resilience of the human spirit. 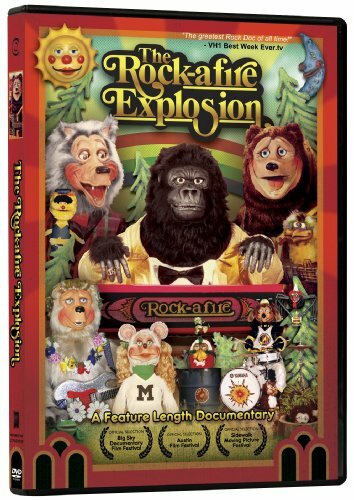 After the closing of Showbiz Pizza Place in the early nineties, the Rock-afire Explosion fell out of the public's eye. Creator Aaron Fechter struggled to revitalize what was once a 300 employee, 20 million dollar per-year industry. One year later, one fan's loving homage to the band via clever YouTube videos recaptured an entire generation's imagination. If you have any questions about this product by Passion River, contact us by completing and submitting the form below. If you are looking for a specif part number, please include it with your message.